So it has been with DAB – a substantial journey; a long process of approach, re-evaluation and reinvention from its debut to the Norwegian public in June 1995 until right now, the day where Bodø will shut down its FM signals (January 11th). As predicated some 22 years ago, Norway, a famously forward thinking nation, will spearhead the digital radio movement, making a bold world statement that things can change against the odds. The decision to completely switch off all FM services is not one which has been taken lightly by Norway’s government, and was announced two years ago in April 2015 with the process to begin this month, in January 2017. Some initial reports claim the move to be ‘risky’ and ‘unpopular’ with the Norwegian people, with many complacent about the number of non-DAB equipped vehicles on the road and how the public will react to having to pay to upgrade their vehicle. Whilst the implementation period may be troublesome for many, the proposed, staggered strategy involves improvement on the current 78% of new cars fitted with DAB as well as a focus on widening the reach of affordable aftermarket solutions to the public, so upgrading isn’t an expensive headache. 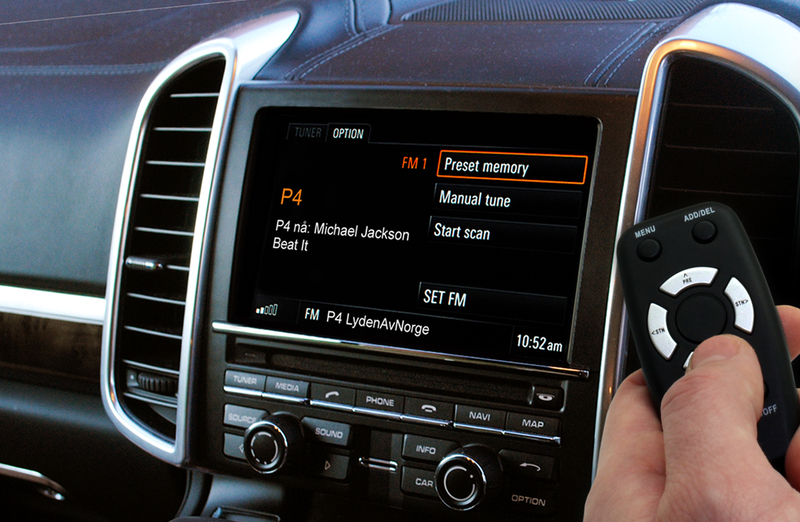 Distributors like Connects2 offer retrofit digital radio across many price points worldwide, so there are plenty of options available on the market for the consumer. Including aftermarket dealer installations, the estimated figure for DAB-equipped new vehicles sits at around 90% and is set to rise. Despite concerns, the benefits of a 100% digital network are plentiful – both for the country and the listener. The 99.5% DAB coverage in Norway (roughly equal to that of the largest FM network) suggests that the infrastructure is in place for the switchover to happen, despite fears that laws have passed too quickly. In addition to the coverage benefits, the Norwegian government have also ensured that nearly all tunnels over 500m will retain a DAB signal – a feature not guaranteed with every FM station. The listener will receive an improved 23 nationwide, 9 commercial and 14 public channels with higher quality. Also, the stress on the country’s finances will be lessened. Reuters reported that the ‘current parallel system of parallel FM and digital networks…each cost 250,000,000 crowns’ (Approx. £24,000,000) – a huge outlay when money could be invested in strengthening one medium instead. In an article I wrote for Speedmonkey in 2013, I argued that the best short-term solution for progress in radio was to run both FM and DAB together for as long as possible to provide flexibility and choice. However, in light of these figures, that system is now proving untenable, at least for Norway. There is, of course, a time when a decision must be made and DAB, with better coverage, station selection and costing, stands as the sole option if further developments are to be made in radio. As I touched on in my article on the WorldDAB General Assembly last year, the globalisation of DAB has been a hard fought battle thus far. One waged with education, investment and patience rather than by force, but one that is far from over, by all accounts. There is work still to do – lots of it – but with more dedicated people than ever behind the scenes, the future for digital radio looks bright and the listener, more than anyone else, will benefit from this revolution.